Daniel tries to perfect the resurrection program; Sam's loyalty to old Tauron causes problems in the Ha'la'tha; Amanda struggles to be accepted in the Willow household. At 1:25 on the DVD, business buildings with ILS and CO logos are seen. It is unknown what the letters stand for, but are presumably the initials of the actual business name. The CO logo has been seen previously on Caprica, on shipping transports and video commercials (in fact, the CO log appeared on one of the city's public screens just seconds earlier). 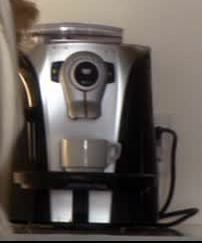 At 5:07 on the DVD, the Amanda avatar has just made espresso. 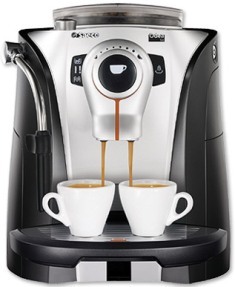 The espresso maker seen is a Saeco Odea Go Super Automatic Espresso Maker. This particular model has been discontinued. This episode reveals a potential marketing campaign for Graystone Industries' in-development resurrection program, called Grace. Notice that the "G" in the Grace logo is the same as the "G" in the Graystone Industries logo. At 13:52 on the DVD, Evelyn hands Joseph a cup of coffee (or something similar) in a Graystone Industries mug. At 15:35 on the DVD, an establishment called Rice World can be seen in the background. This is an actual business in Vancouver where the series was filmed, located at 126 Gore Ave, Vancouver, BC, Canada. It sells many different types of rice in bulk, as well as virtually any type of Chinese condiment or snack food available. The business is located on the opposite corner from the produce stand seen in "Rebirth". During the ambush against Sam and Demos at 16:01 on the DVD, Vancouver's Downtown Community Court can be seen in the background. It's located at 211 Gore Ave., half a block from Rice World. The car used by Atreus and his men looks to be a Ford Mercury S-55 from about 1966. At 16:45 on the DVD, Kay's Seafood can be seen through the chain link fence behind Atreus. This is another Vancouver business (a seafood market), located at 338 Powell Street. While talking with the Amanda avatar, Daniel mentions the last vacation he took with Amanda and Zoe seven years ago, camping on one of the Ionian Islands. Presumably, these are an island chain on Caprica. Upon finding that some kind of unsanctioned smuggling of merchandise from Graystone Industries is occurring, Cyrus wonders if the merchandise could be going to the grey market. The term "grey market" is used to describe legal merchandise that is sold by legal merchants through a middleman unsanctioned by the manufacturer. I like the scene from 27:34-29:23 on the DVD. It begins to re-establish, to a small degree, the aborted friendship Daniel and Joseph began in "Pilot" Part 1...again over cigarettes! 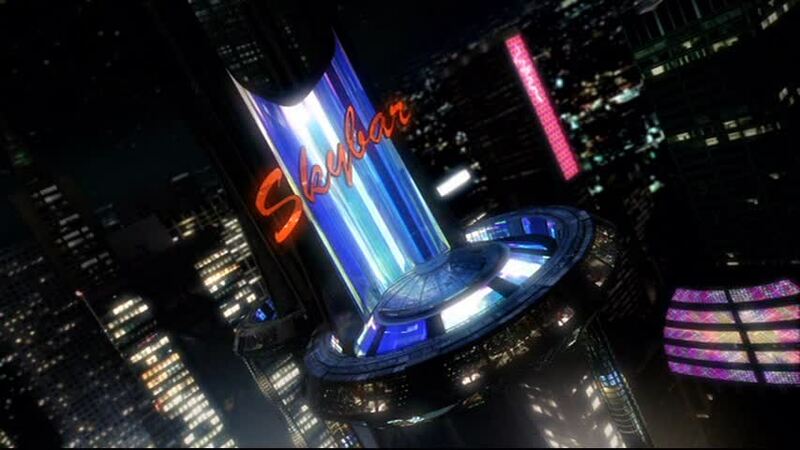 At 29:24 on the DVD, we see that the bar where Sam ambushes Atreus and his men is called Skybar. 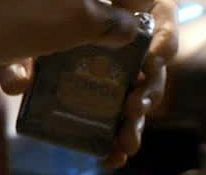 At 31:47 on the DVD, the label on Sam's pack of cigarettes can just barely be made out to read Forge. One of the TV screens at Goldie's at 38:55 on the DVD is showing Backtalk with Baxter Sarno.